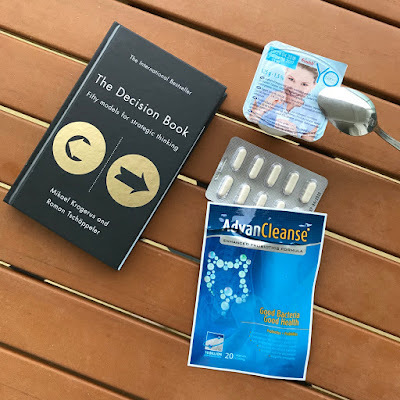 Jodulu The Mermaid Lifestyle & Beauty Blog: Avalon AdvanCleanse: Does consuming probiotic supplements help? Avalon AdvanCleanse: Does consuming probiotic supplements help? As a child growing up, I've been given Yalkut whenever I had a weak tummy and it helps in elevating the problems. As a young adult, I was then introduced to the concept of using skincare that contains good friendly bacteria and ingredients that help these strands of bacteria to thrive on my skin for a better complexion... and I swear upon this concept now for my good skin days, and so does my fiance. Recently, I was invited to put Avalon AdvanCleanse to the test for its claims in supporting a healthier digestive tract, boosting the immune system, and improving the complexion of the skin. 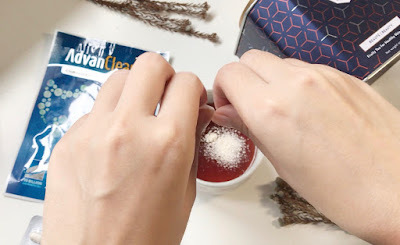 Supported by 8 patented formulations, each AdvanCleanse™ capsule contains 10 billion live probiotic cells, with 7 unique strains certified by France Pasteur Institute and the addition of Galactooligosaccharids (GOS), a form of prebiotics to keep the good bacteria even stronger! Probiotics are a class of beneficial bacteria that live in our intestinal tract. They keep our intestinal system running smoothly, safely and healthily, improving gastrointestinal disorders such as irregular bowel movement (constipation or diarrhoea), irritable bowel syndrome (IBS) and lactose intolerance. It also supports our immunity and general health by promoting the absorption of vitamins and minerals. Whereas, Prebiotics are non-digestible foods ingredients that act as "foods" for probiotics to help stimulate the growth of probiotics. How soon will AdvanCleanse take effect? Most people will feel the difference in 2-3 days and experience smoother bowel movement in 7 days (individual results may vary). 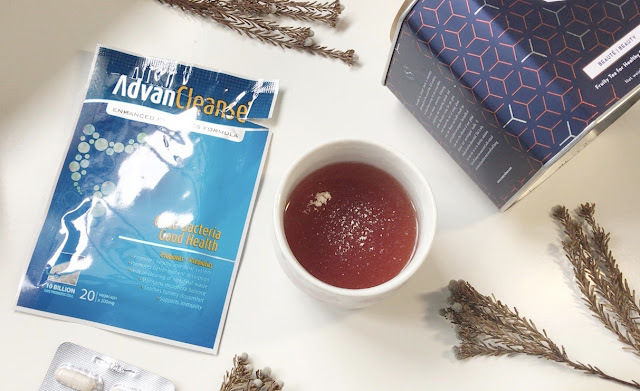 AdvanCleanse is intended to provide optimal intestinal health and is suitable for long-term usage. For adults: Take 1 capsule, 1-2 times daily after meal. Cost: $69.90, but now with promotion, it's going for $49.90! Taste: Honestly, I have never taken it without a beverage to mask the true taste of it because I don't like taking anything in a pill form on its own. But I can confidently say that the true taste of it is mild because it doesn't stand out regardless of the drinks I mix it with. 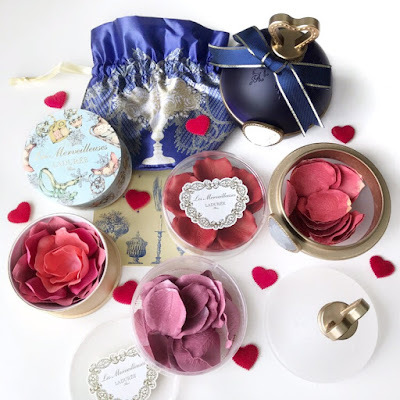 Inside the box, there are 4 packages of 2 packs of 10 capsules each. Upon consuming this for a week, I did notice that my bowel cycle was very regular but other than that, there wasn't any much difference. I was sick shortly after, I believe it was just due to the flu bug going around but due to that, I stopped consuming this until I was better. Unfortunately, after the week that I was ill, I noticed that the remaining pills in the pack ended being moist inside the capsules despite it being sealed. Avalon might want to take note of this. Thankfully, this only affected 1 pack and I was able to consume the remaining capsules for this review. After taking it for a month, the next difference I noticed was that I had lesser breakouts. I'm not entirely sure if it was the result of the probiotics or if it was due to my new skincare regime at that time but it did help in clearing up my skin. Overall, I think this helps to maintain a healthy bowel system and reduce bloatedness which also helps to improve overall health, but if you are a regular consumer of yoghurt and probiotic drink you might not notice any big changes or improvement which was my conclusion after these 2 months. 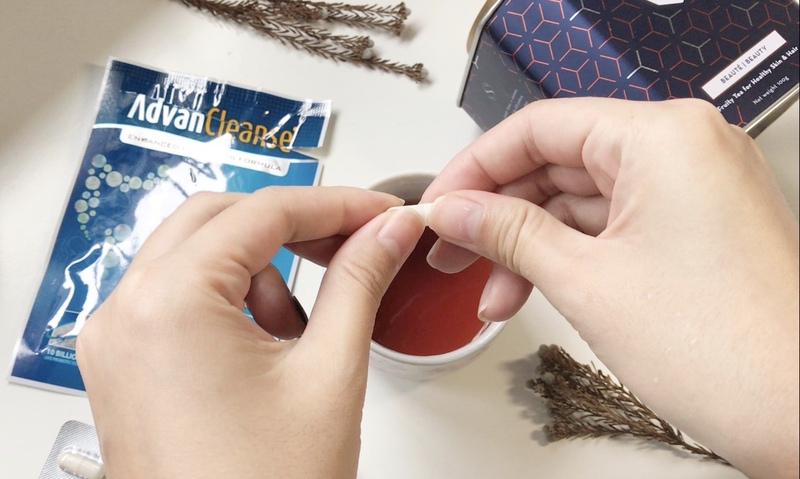 So to boost it up, with the claim of how it aids better nutrient absorption, I took it with beneficial tea for the skin because that is my skin is biggest beauty concern. It seems to help because now, I don't have any major pimples on my face, just the occasional whiteheads and blackheads that aren't very obvious unless you are staring at my face! So after 2 months, I can conclude that it does seem to help in troubled skin too. This post has been brought to you by Hi-Beau, a company that strives to provide lifestyle, healthcare and aesthetic products to Singaporeans.